« Komunity Project welcomes Alek Parker to the Surf Team. 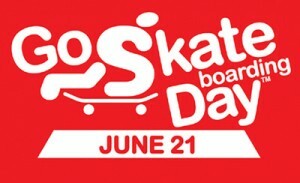 June 21st is right around the corner and if you don’t know by now, it’s the official GO SKATEBOARDING DAY!!! There are tons – and I mean tons – of events going on everywhere for this special day of ours. Personally for me, everyday is go skateboarding day but I guess this is the “official” day. Just about every skateboard distribution company is assembling an event together for Go Skateboarding Day. If you’re not aware of something going on near your hometown then go by your local shop and get the details. If there still truly is nothing going on in your area it’s ok. You have two options… One you make something happen yourself, hit up all your homies and build the biggest skateboarding session you have ever assembled. You could even cooperate with your local core shop on doing something and I’m sure they would be up for it. Or option number two, you just skate! Yea that’s right, even if you are alone make sure you skateboard on go skateboarding day. Just think, at that moment on that day when you are skateboarding, there will be millions of others doing the exact same thing. Imagine how many kids are doing ollies at the same exact time as you. How many tricks are being done in unison with each other? 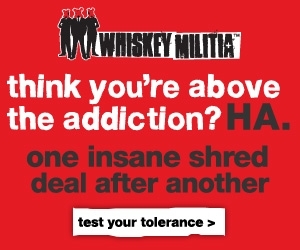 And how much street shredding will be going down. It’s a pretty remarkable thing if you think about it. So be sure to skateboard on this glorious day, and most importantly to have fun. Introduce some of your non-skateboarding friends to pick up a skateboard. Improve on your skills or just cruise the streets. Either way make sure you SKATE! Posted by Ruben 'Studdard' Najera	on Friday, June 6th, 2008	in Skateboarding.